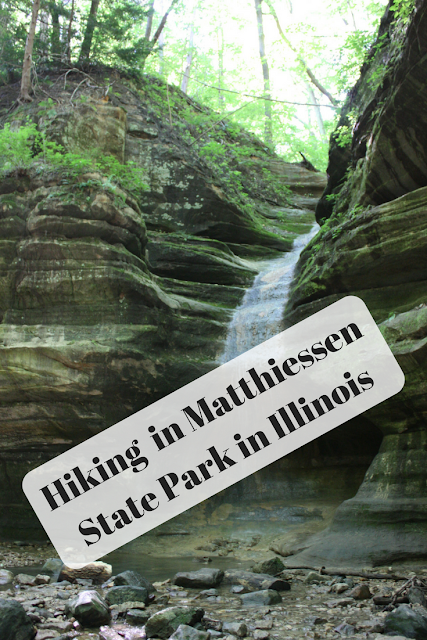 Of course, I was immediately on the hunt for a waterfall upon arriving at Matthiessen. However, we discovered a true natural paradise with many more treasures in addition to waterfalls. 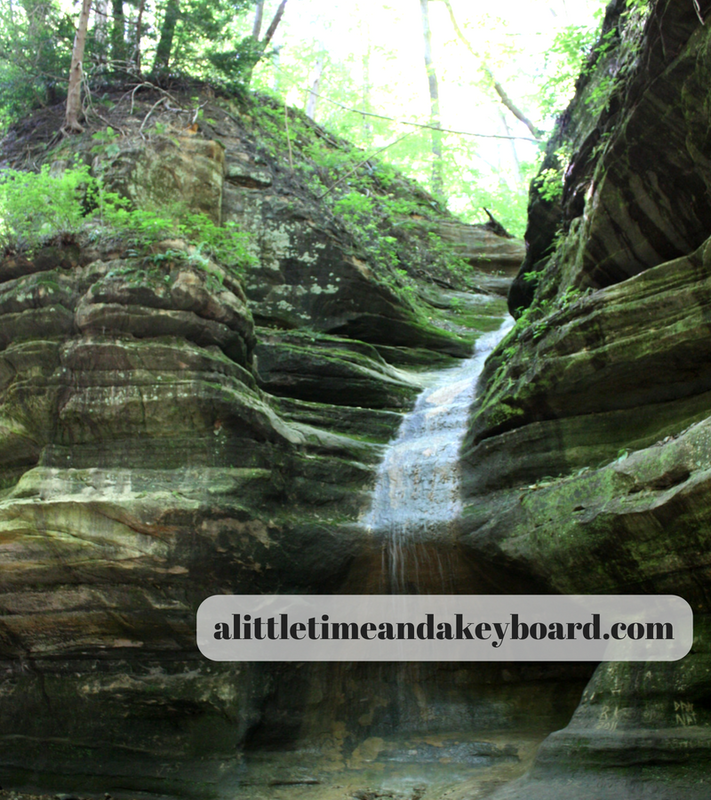 The section of Matthiessen we hiked included the Upper and Lower Dells carved by a stream running from the Vermillion River to Matthiessen Lake. You can walk along the stream and cross it in in a range of spots. 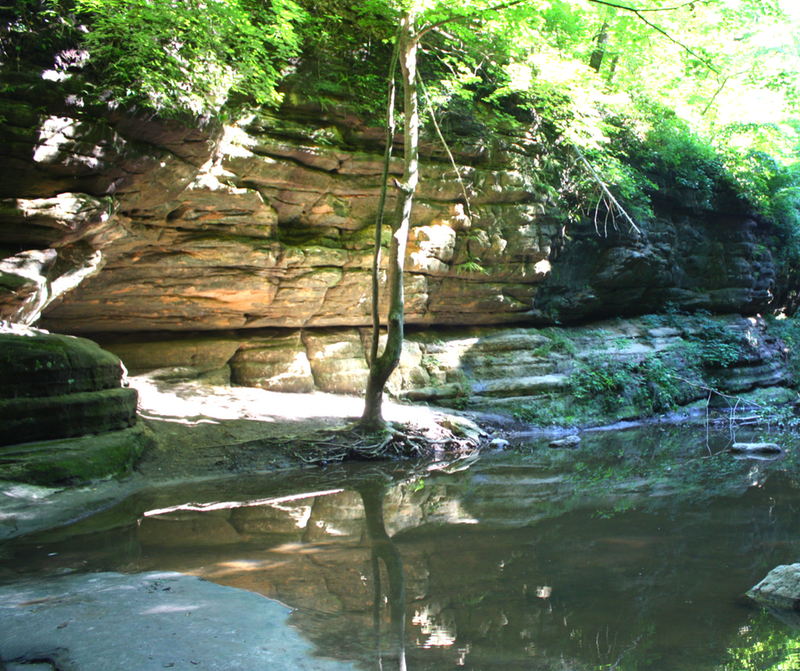 The stream at Matthiessen winding through sandstone cliffs. We found the forest on the bluffs above to be pretty thick, so we had nice shade coverage. The stream is very calm. At various points where you take stairs down to the canyon floor. There are trails up on the bluffs as well. Deep in the canyon, we felt swept away far from our everyday. We navigated rustic paths and encountered sections where we had to skip stones. What an experience igniting that inner child! While we didn't, other hikers enjoyed ducking in and out of caverns. More awakening of the inner child! However, we did revel in amazement at discovering waterfalls. The waterfalls are pretty accessible at Matthiessen and you can get pretty close. So many moments of awe! Waterfall cascading under a bridge. 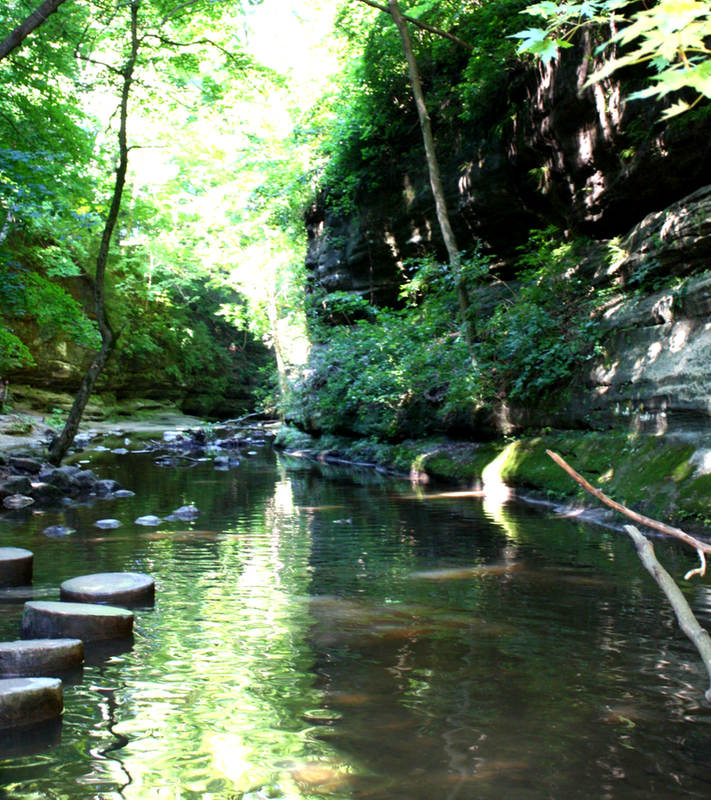 Carved out sections of Matthiessen. When there is more rain, there is probably a waterfall here. 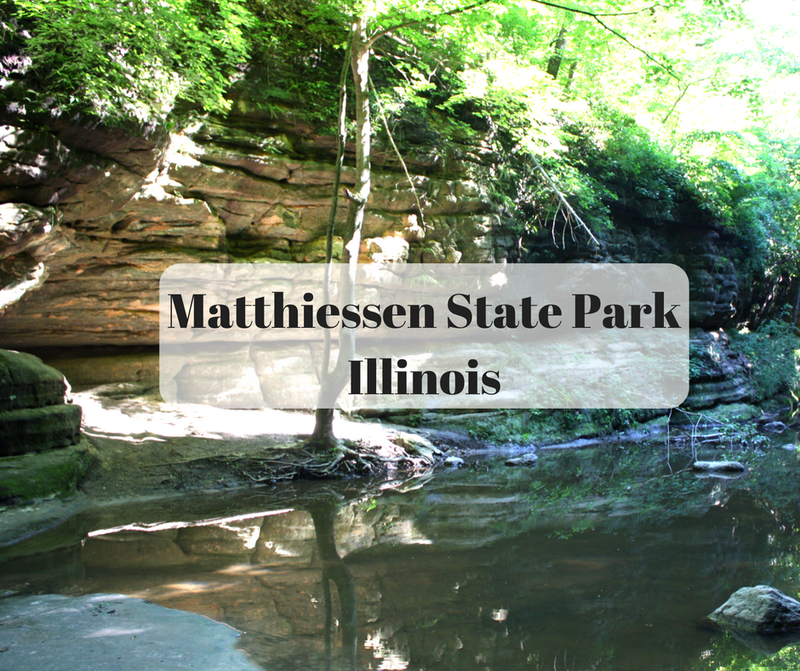 Matthiessen State Park is truly a Northern Illinois treasure. We appreciated the forest cover which allowed us to enjoy more of the park on a hot summer day. The landscape truly captivates and we paused throughout to savor the natural beauty being in the moment. The area is probably stunning with fall colors. Hopefully, we can time a future trip to explore the colors! Be prepared to get wet. I almost made it through the whole hike before stumbling and splashing a bit! Bring water and snacks but also be mindful to pick up you remnants. Be prepared to take the stairs up and down if you wish to explore the canyon floor. You will need to go down to the canyon floor to really see the waterfalls. Dogs are permitted and there were quite a few there when we visited. 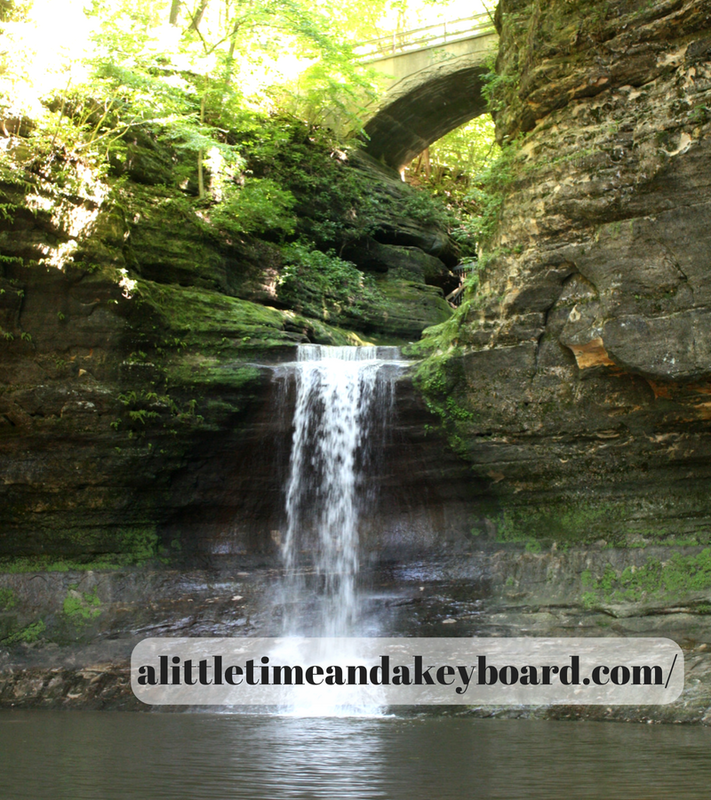 If you are looking for a weekend of hiking, Starved Rock State Park is nearby with plenty of trails and yes -- waterfalls! There is a replica frontier fort at the head of the main trail, an area for picnics and restrooms.